Zion recently sent off its second shipment of books for this worthy endeavor. There were almost 350 books collected. 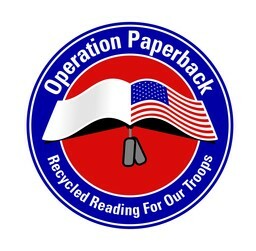 The mission of Operation Paperback is simply to provide gently used books to our troops serving abroad. It is a great way to recycle paperbacks and give them a second life. Thanks to all who participated and thanks to Annette for coordinating this program for us.